Quantum Controls took just two hours to solve a problem for Northumbrian Water when it needed to hire a variable speed drive at short notice. At 3pm on a Friday afternoon NW phoned with a request to hire a VSD for one of its pumping stations. By 5pm Quantum Controls had a pre-tested, 440V, 500kW drive on site together with three engineers. Because the site ran on 660V, Quantum Controls needed to supply and install a step-down transformer to match the supply to the drive, together with a step-up transformer to match the drive's output to the needs of the water pump. Limited space meant drive and transformer could not be placed as close together as they are normally, requiring the use of longer cables. 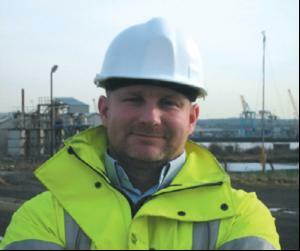 John Fielding, acceptance engineer (pictured), says: "The fast reaction and support we received from Quantum Controls meant we had no disruption to service on one of our major sites in the North East."